The TILT Detection System is now available! Be safe on the mountainbike trails, and be found when you need help! of improving safety for all riders. It is easy, it is smart and it is efficient. Always on and always alert. Connect to your smartphone in three simple steps. Install, select, shake. Any crash will automatically be detected, and start an intelligent rescue procedure. Enjoy riding with a new safety net in training, races and on grand adventures. 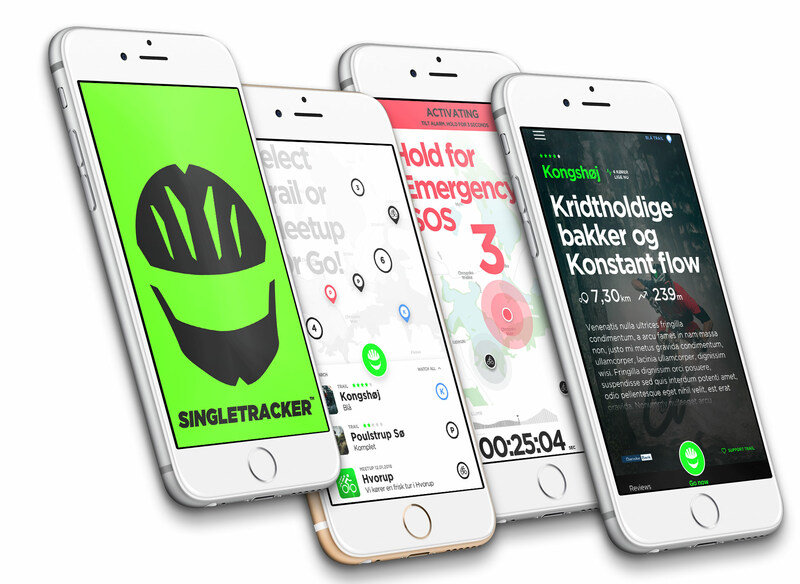 Singletracker is a free mountainbike app for iPhone and Android. With Singletracker you have a complete MTB exosystem, and a one-stop digital companion for oyur MTB needs. Be it your daily training ride, your weekend trip or the big adventure. TILT works through Singletracker and TILT activates all Singletracker app users as potential first responders. If you have a TILT and crash, anyone with Singletracker in the vicinity will be alerted. This is a fresh new take on MTB safety out where it really counts, and Singletracker is the heart of the concept. Grab Singletracker today, find trails, navigate trails, comments on trails, see what the builders say, check for alerts, find the trailhead, the parking spot and know where the big air is before you hit it. Singletracker keeps you updated and informed. YOu just have to pedal and enjoy the new trails that open up before you. Free download for your iPhone or Android. TILT works by sending a direct alert to all Singletracker rider in the vicinity of your incident. It also sends a text message to your designated emergency contacts. All notified parties can see your precise position on a live map for easy navigation and rescue. TILT is made for use in rugged environments and will function even in remote area with sparse data and phone coverage. With TILT you are free to explore alone with the safety of a group. The algorithms supporting the sensor are made by riders for riders, allowing you to jump and free-ride without false alarms. TILT is invisible to you until it really matters.